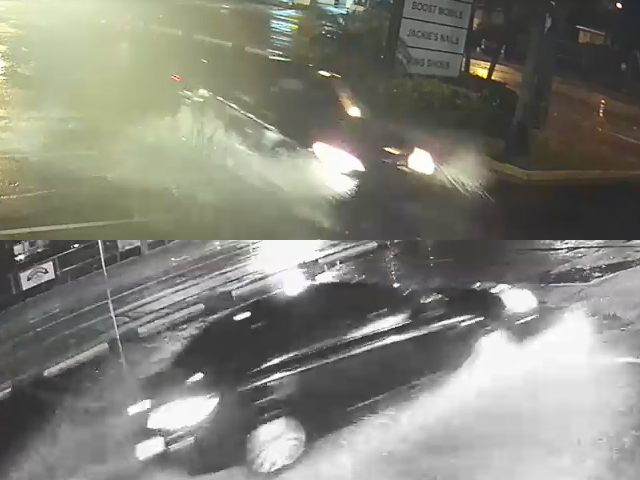 FORT MYERS, Fla. -- The Fort Myers Police Department released video stills from surveillance cameras of the suspect vehicle (dark-colored sedan) that was involved in a double homicide. The dark-colored sedan drove through the parking lot at approximately 10:25 p.m. on Wednesday, October 10, 2018. If anyone recognizes the vehicle or knows of its current whereabouts an anonymous tip can be called in or emailed to Detective Wolfgang Daniel of the FMPD at (239) 321-8030 or wdaniel@fmpolice.com . Or tips can be submitted to Crime Stoppers at 1-800-780-TIPS (8477). Tipsters will remain anonymous and be eligible for a cash reward of up to $3,000. Tips may also be made online at www.southwestfloridacrimestoppers.com or by submitting a tip on the P3Tips mobile app. **UPDATE (11AM)** -- The Fort Myers Police are asking for the public’s help identifying the person responsible for killing two people in Fort Myers. The incident happened Wednesday night at the Sungold Shopping Plaza along US 41. According to Captain Jay Rodriguez with Fort Myers Police, two people were targeted in front of the Urban Swagger clothing store. The two men were shot, after which they got into their car and drove down U.S. 41 and caused a crash. 43-year-old William Allen Merrill from Miami, and 41-year-old Torre Deontray Fulcher both succumbed to their injuries. Police said Fulcher owns the Urban Swagger clothing store. Other business owners in the plaza say he was a father, and a good man. "I know him very well, he's a good person. He's very nice," said one shop owner. Others in the plaza were left shaken by the incident. John Morreali, owner of Morreali Shoe Repair found out about the shooting this morning. "It's definitely a scary sight, you know. My son is 18 and he helps me out," he said. Captain Rodriguez said they do not have any indication this shooting is connected to any shootings in recent days. However, he does say this was a targeted shooting, not a random act of violence. He says FMPD will be conducting extra patrols as they work with other agencies in their investigation. "We are on high alert, I have extra man power on the streets," he said. FMPD is looking for a dark colored car that was involved in the incident and asks anyone who saw it to call the police station , or Southwest Florida Crime Stoppers , where tipsters can remain anonymous and possibly earn a reward. 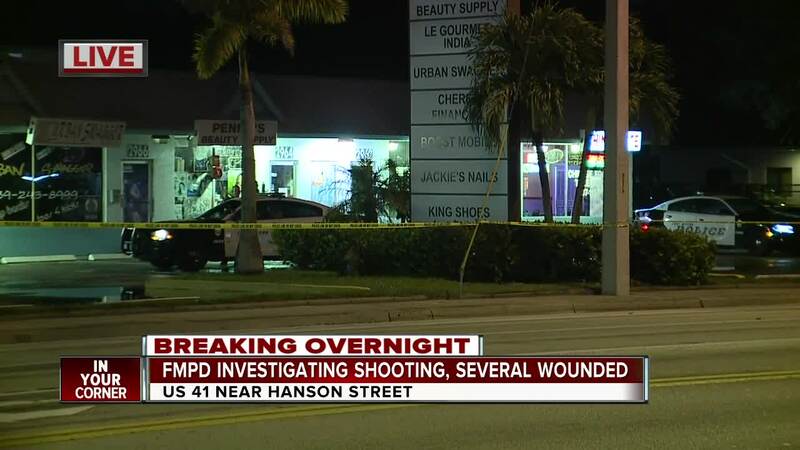 FORT MYERS, Fla. - Several people were wounded in a shooting at the Sungold Plaza off of U.S. 41 in Fort Myers Wednesday night, according to the Fort Myers Police Department. Police are still on scene Thursday morning, and have blocked off the Sungold Plaza on U.S. 41 and Hanson Street. Police have not identified any suspects. Both directions of U.S. 41 were closed for a few hours but were reopened around 4 a.m. 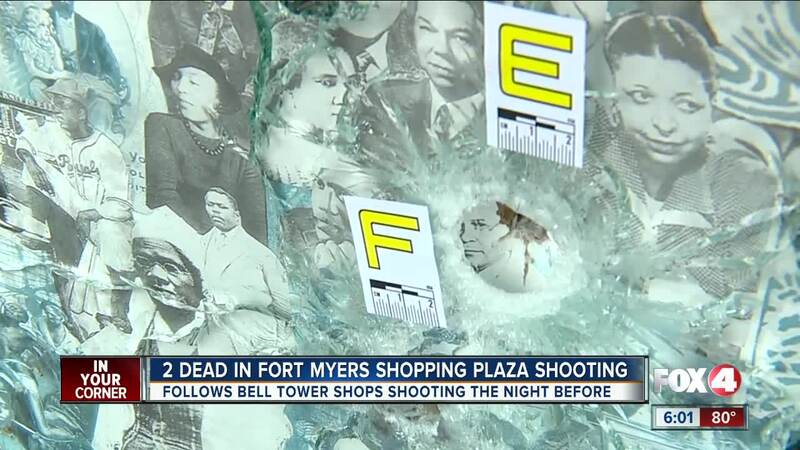 It's unclear if this shooting incident is connected to the targeted fatal shooting of two people at Bell Tower Shops on Tuesday night.